As much as I wanted to review something poetic this month the closest I'm going to get is the pair of rhyming digital-only book titles listed above! 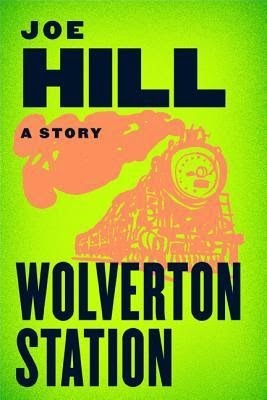 First up, a delightful appetizer of a short story called "Wolverton Station" by Joe Hill, where an unctuous American businessman suddenly realizes between stations on a British train that he is surrounded by wolves. Literally. Not werewolves, but human-sized, clothes-wearing canis lupus. Casual as he can our businessman tries to pretend that its a prank, a hoax, a protest against The Man, but toward the end there's no denying these wolves are real, and so is the danger. "Wolverton Station" is the kind of story that plays out like an episode of The Twilight Zone by keeping the action claustrophobic and as close to the main character as possible. Why are there wolves, why is he the only human, how did he end up in the situation... questions for which there is no answer, and none is really necessary. It's a breezy read, the kind its easy to get caught up while traveling and short enough to gobble down in one sitting. 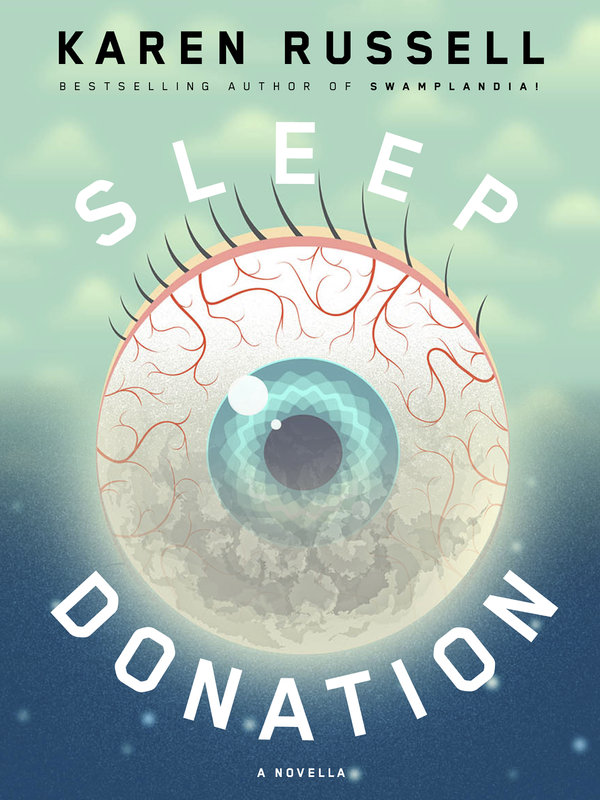 For Karen Russell's e-novella Sleep Donation I don't know whether to recommend being well-rested before diving in or to try and time it so you drop off immediately after reading. Either way, you're going to want to be sure you can sleep afterward. In a future America a new disease has emerged, a sleep disorder that, if untreated, is fatal. In the race to find a cure they discover a way to take sleep from unaffected people and administer it to the afflicted, often curing them. Like blood donations, but of sleep, and it can't just be any sleep, it needs to be sleep free of nightmares and other impurities that could cause serious damage. The story follows Trish, whose sister was patient zero for the outbreak. It's Trish who goes around and makes impassioned pleas for sleep donations, telling her sister's story with an evergreen frailty and pain. It's an emotional manipulation, but for a good cause. For the most part. Things get complicated when they discover Baby A, an infant whose sleep is so pure she is considered a universal doner. Like a lot of good speculative fiction there's a lot of moral ambiguity and big issues lurking behind the futuristic story. Who is exploiting whom here, and to what purpose? Why have two wealthy brothers dedicated their lives to helping run the sleep clinics that collect sleep? And what caused the disease in the first place – was it environmental, something in the water or the air? After a while you can't help but read these tales of people who cannot sleep and only be slightly creeped by the notion that you might not fall asleep yourself. The horror is real, too. Russell never mentions it, but some famous sleep deprivation studies have been performed with death and absolute madness as the result. The brain needs to shut down and recharge and when it doesn't things begin to go wrong. In the end, when a number of people become "infected" with a contaminated sleep donation there is a parallel fear of the unspeakable nightmares that might follow if they do sleep. The conundrum becomes a question of deciding which is worse, the disease or the cure. Hill's "Wolverton Station" was previously published elsewhere but not readily available, and Russell's Sleep Donation is, at the moment, only available as an e-book. I've come to feel that the digital domain might be the best place for shorter works like these, experimental stories or alternate lifeblood for previously published works, and these two titles were a perfect double dose of good reading at the right price. Both titles are available for Kindle, Nook, Kobo, via the iBook store for Apple devices, and probably a billion other place online. Just not in physical form.